2. PDT doesn't heat up or burn skin. 4. No side-effects, laying off or ache feeling. Its suitable for all kinds of skin. 5. Low cost on cure, longevity and simple maintenance..
6. Easy operation and no need professional trainings. 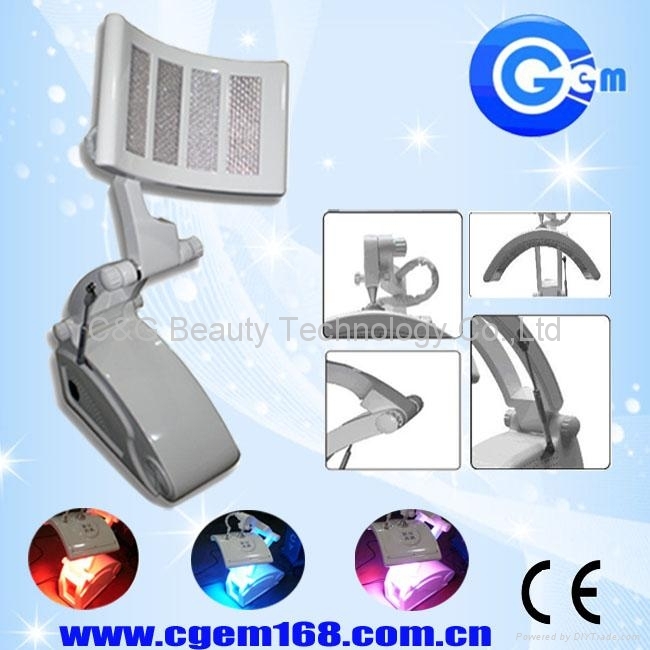 - Multl-functional Beauty Equipment, etc. 3. 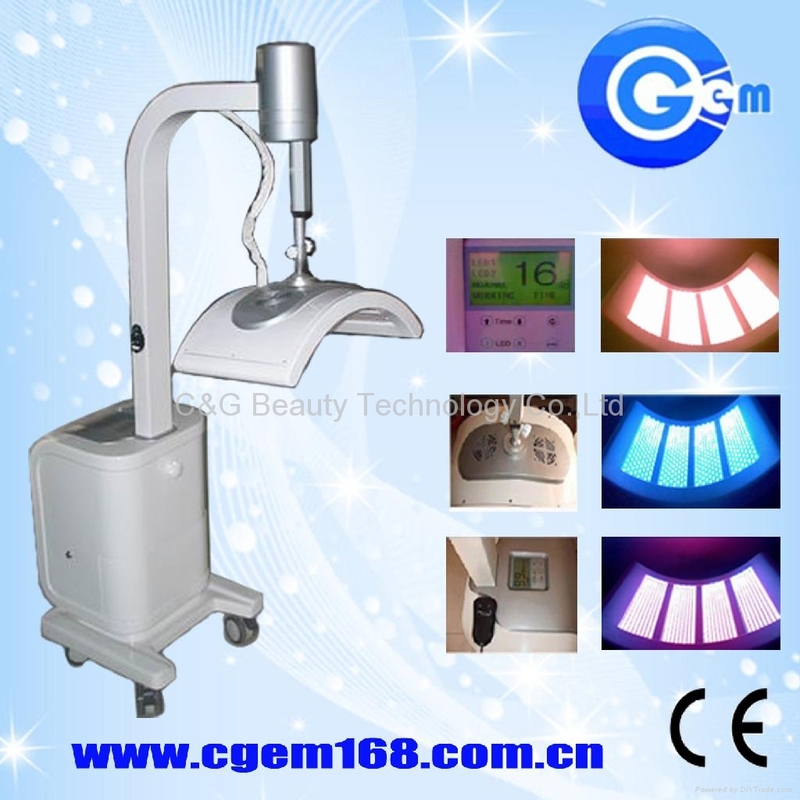 ALL products are with CE certificates. 6. We hope to create a win-win situation with you on the basis of equality and mutual benefit. 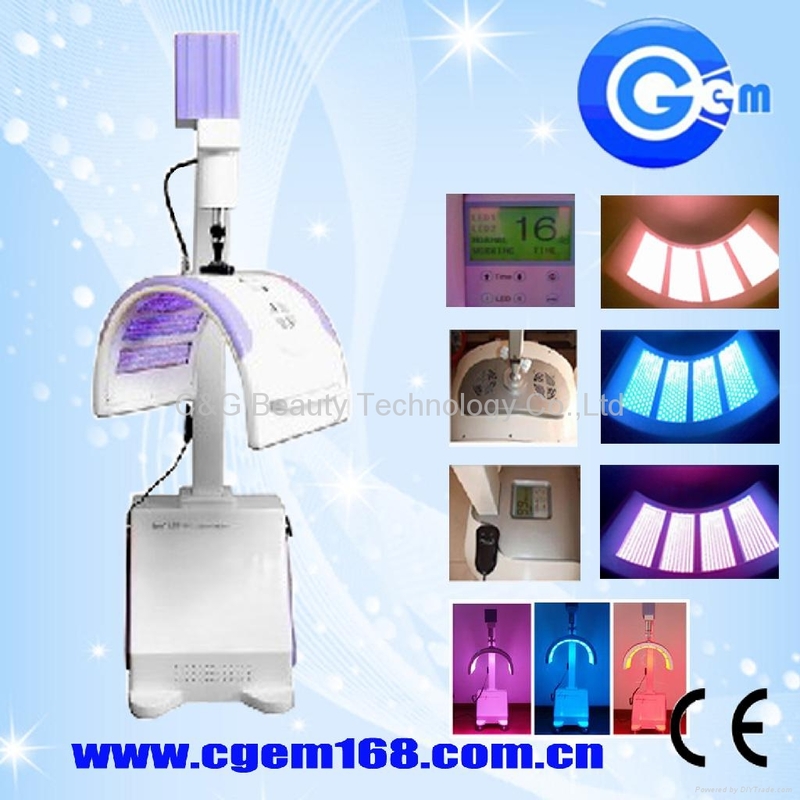 The PDT skin rejuvenation machine developed by company employ the LED originally imported from USA with above 99% purity and narrow spectrum red, blue, yellow and green light sources. 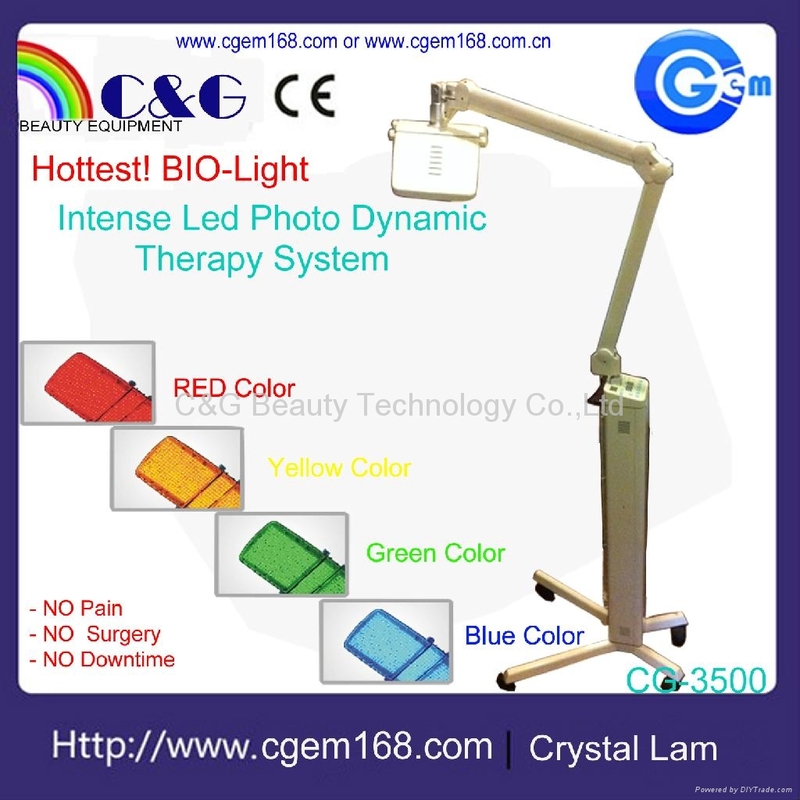 The genetic biological wave light sources are utilized to rapidly effect hypodermic tissue, get absorbed by linear cell particles, and introduce most efficient light chemical and biological reaction ---- enzyme-promoting reaction, which increases cell activity, promotes melanin decomposition and cell metabolism, causes skin to excrete lots of collagen protein and improves white blood cells bacterium-killing capability so as to achieve treatment effects like skin whitening, skin freshening, wrinkle removing, anti-aging, etc. 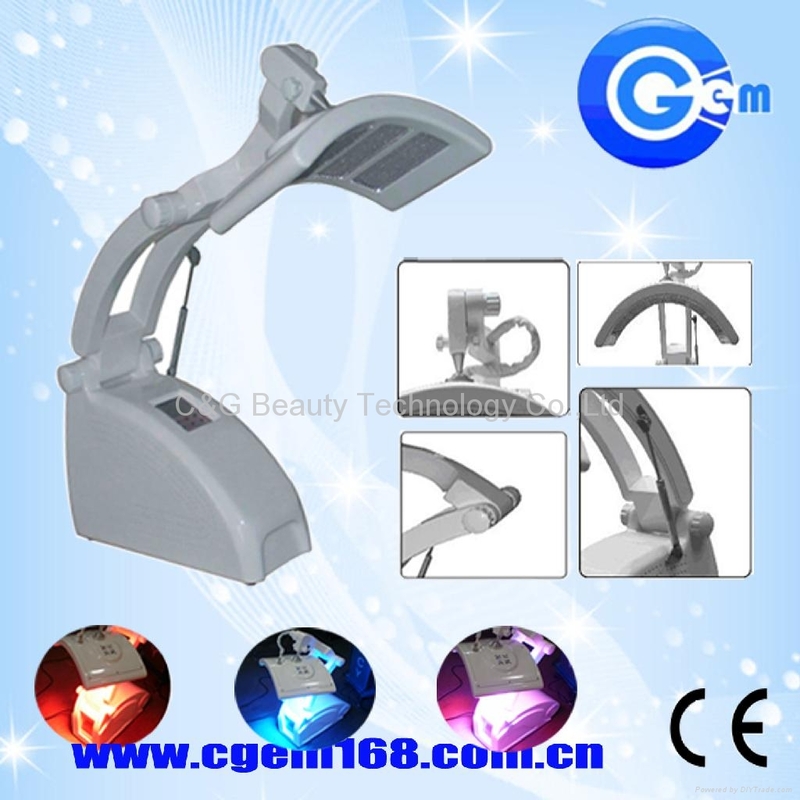 When such light sources are applied to treat dark sores, they are absorbed in large quantity by the acne bacilli that reproduce light-sensitive substances; through killing acne propionic acid bacilli, skin acnes are subsequently removed. In 5 years, we give free maintenance and repairing; only charge the cost of damaged parts. Send the broken parts or machine back to us.